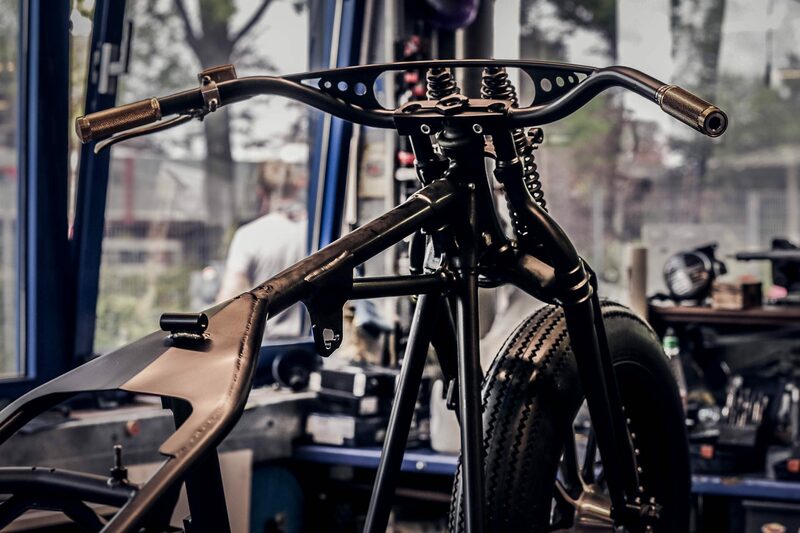 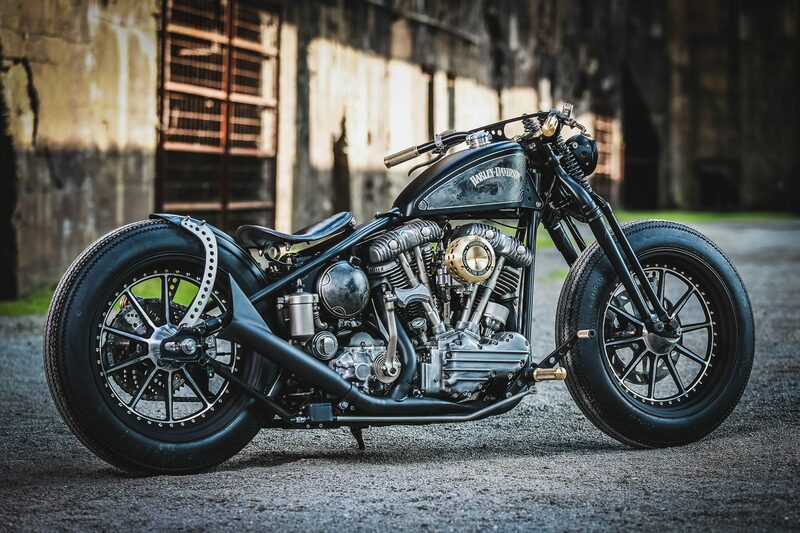 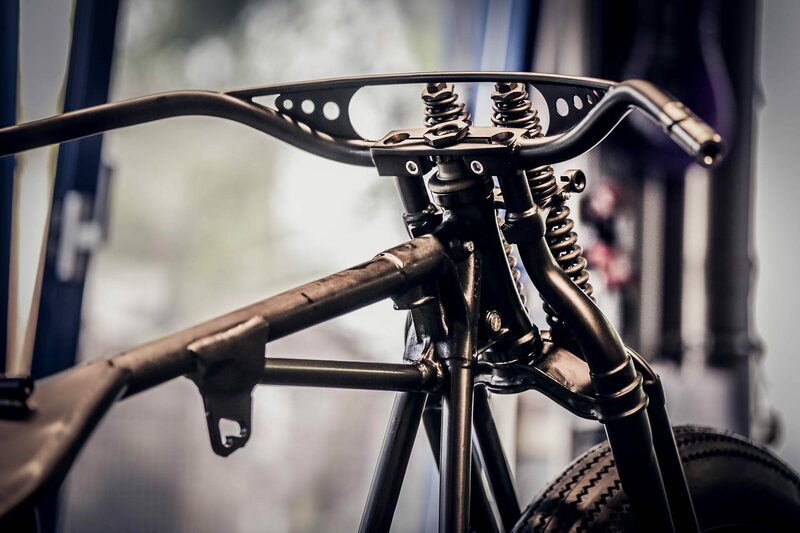 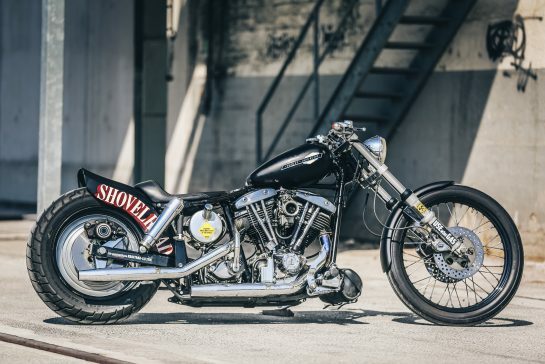 The Flying Shovel was built for a good customer who already owns some bikes from us. 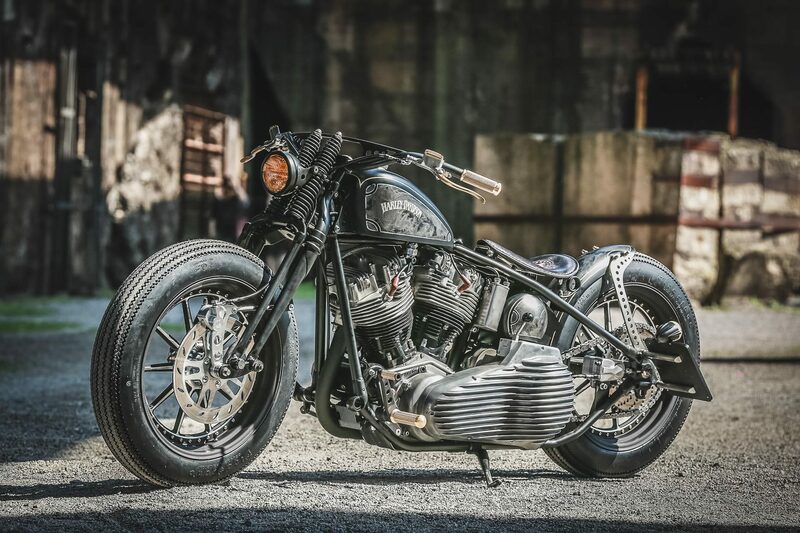 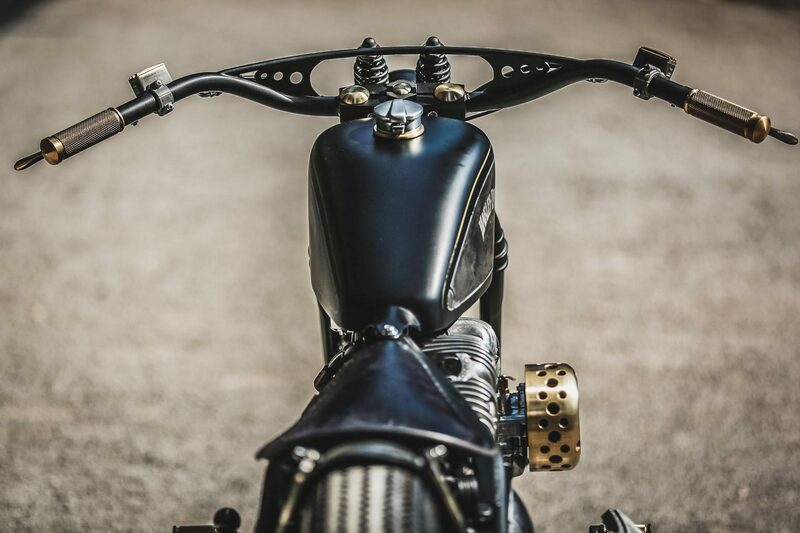 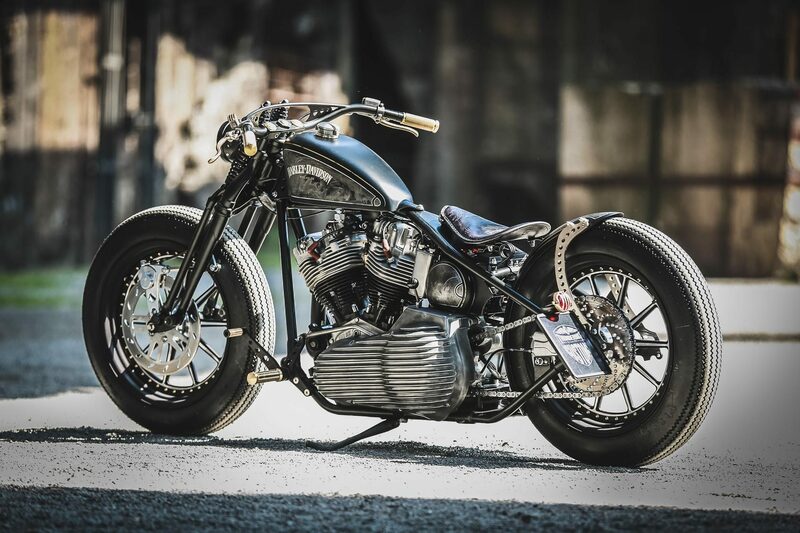 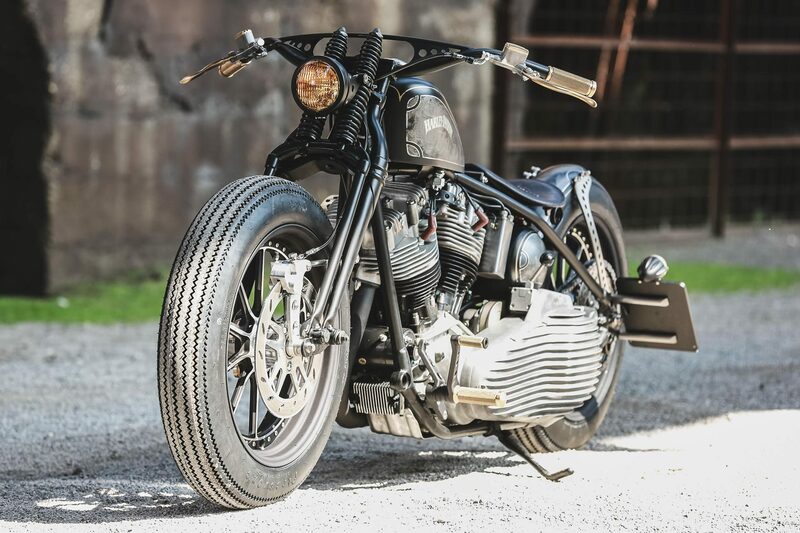 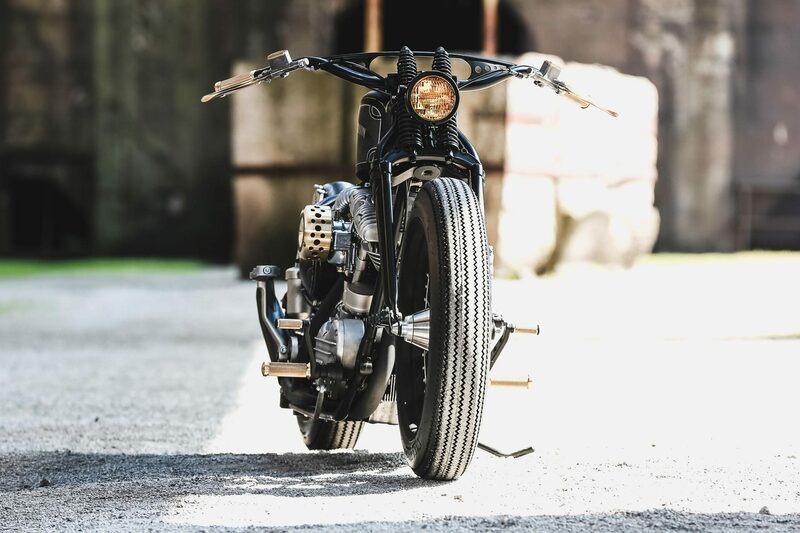 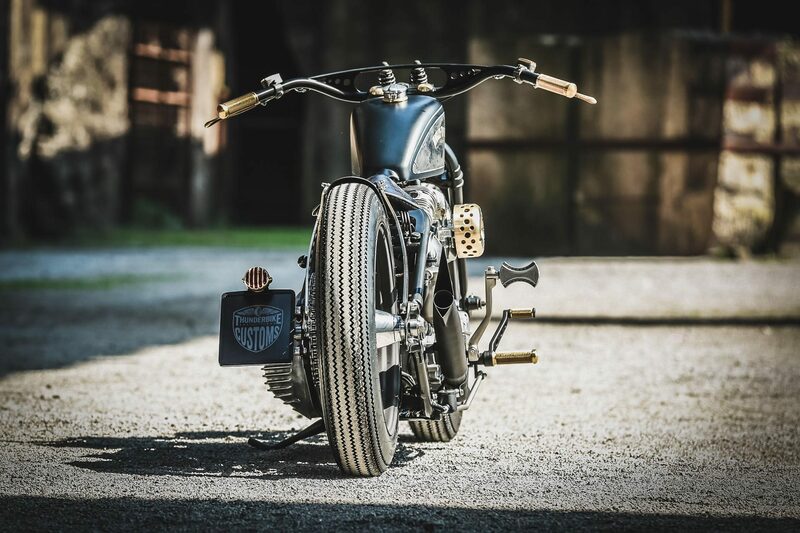 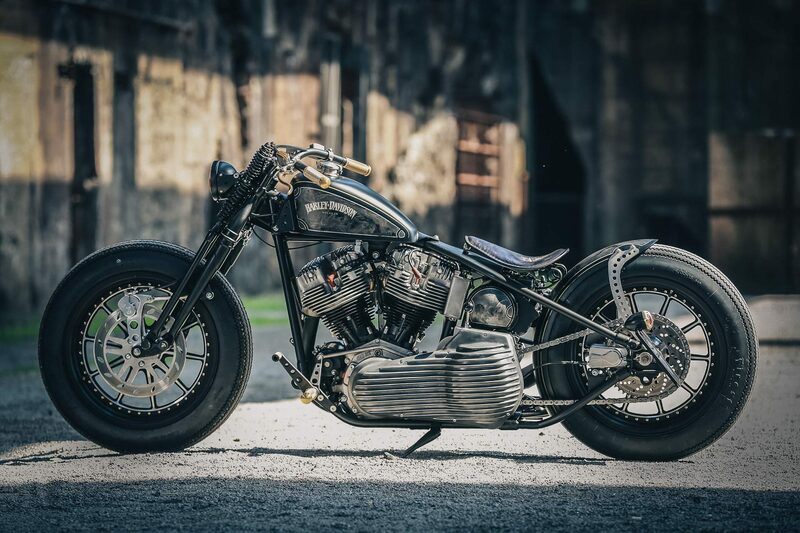 His wish – a true old-school Bobber with rigid frame, but reliable engine, well-functioning brakes and clutch on a normal bearable level – suitable for everyday use. 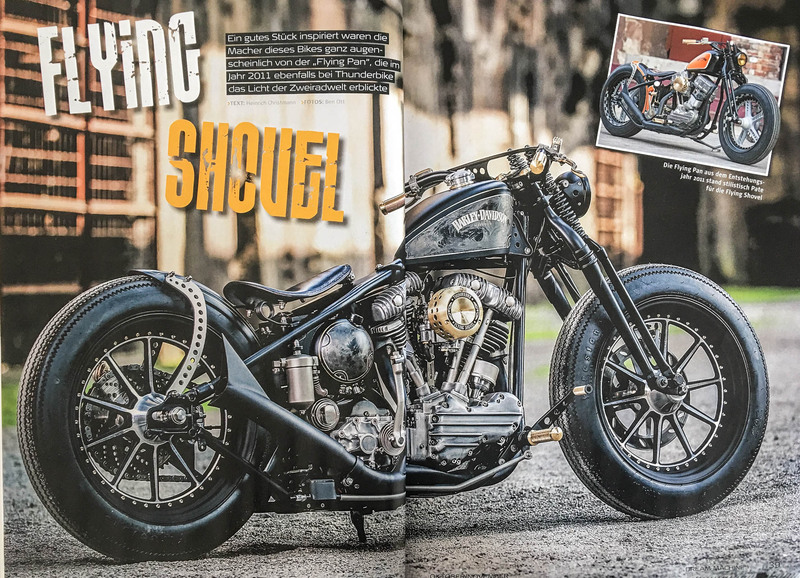 The centerpiece and base is an original FL-Starframe from the year 1957 paired with a Shovel-style clone of S & S, which is on the cutting edge of technology, but still wonderfully authentic and old school. 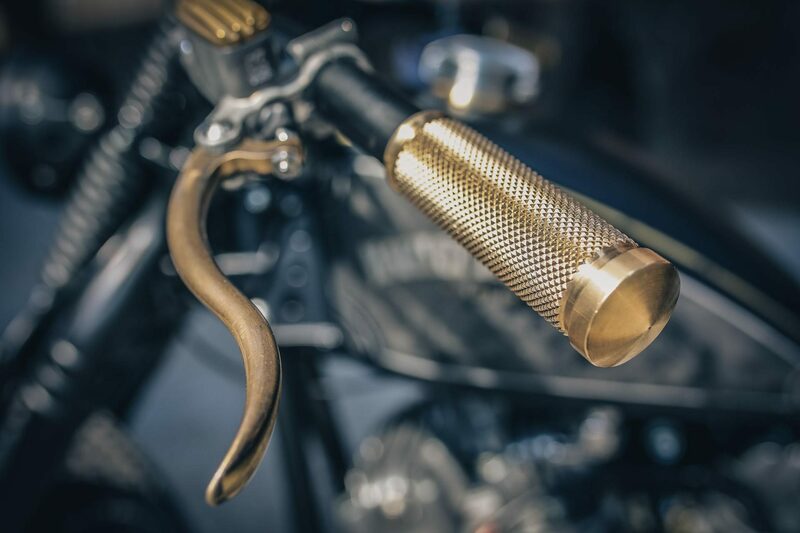 Many of the remaining parts, some self-made, were made of brass, nickel-plated or adapted to the “old finish“. 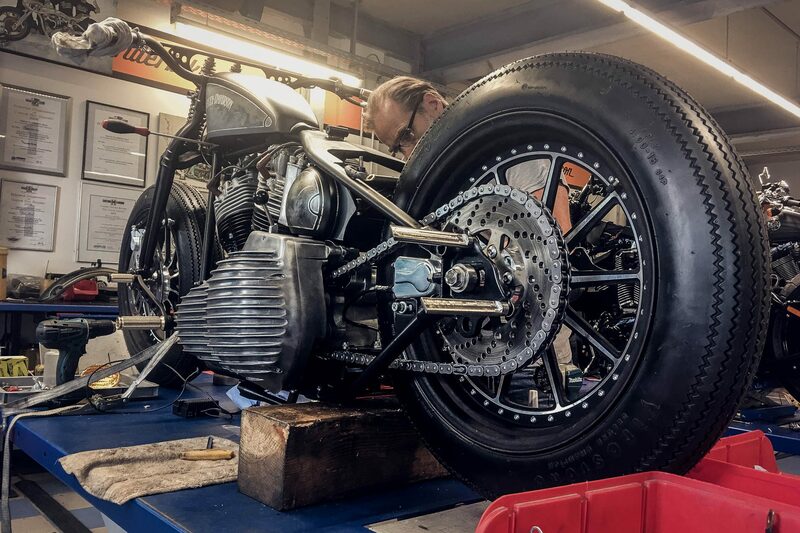 The Flying Shovel is a bike from a series that we once shipped across the border to use as the basis for our conversions. 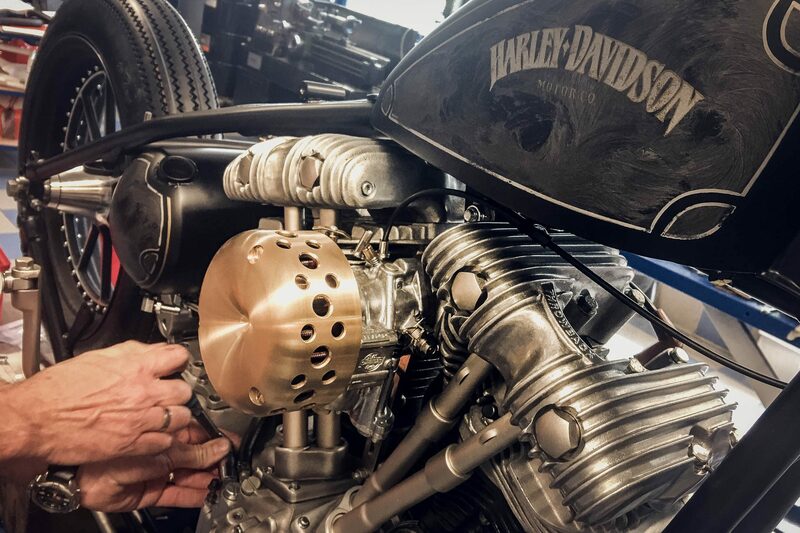 We did not miss a screw and the Shovel has a complete renewal that has it all. 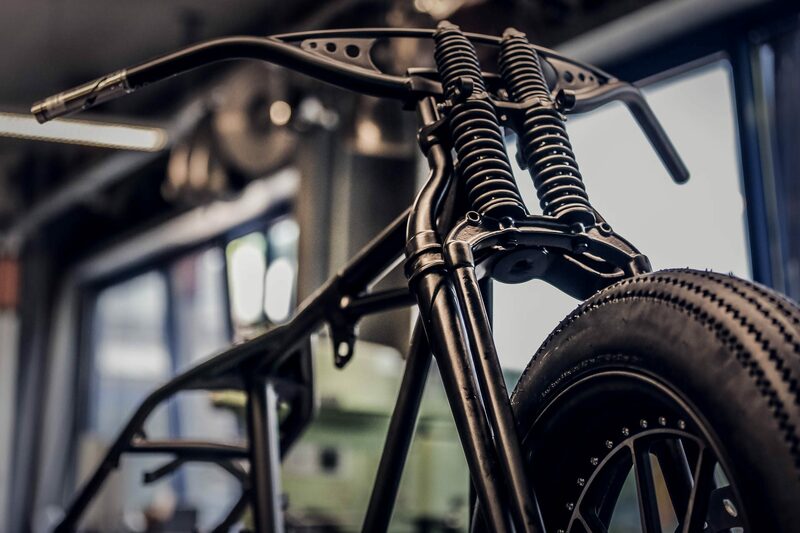 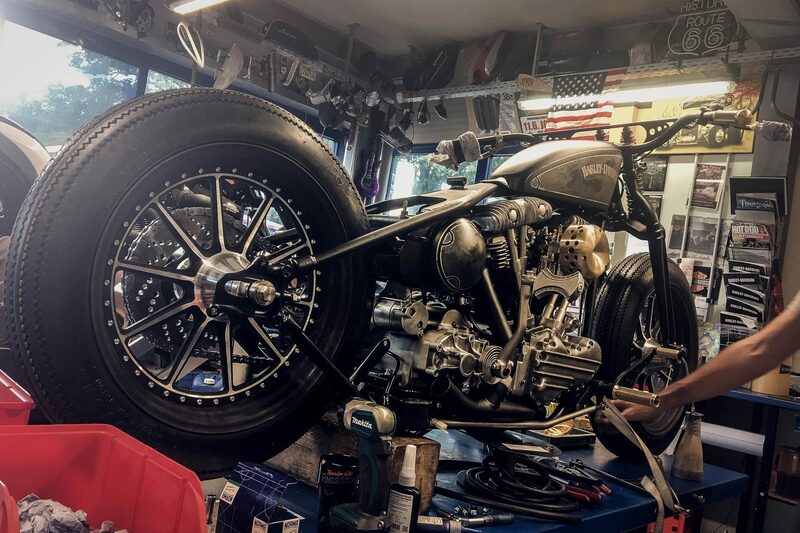 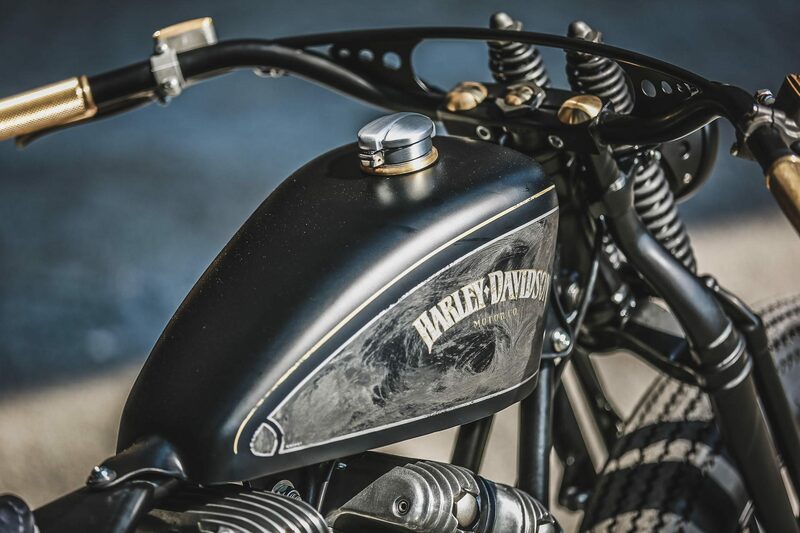 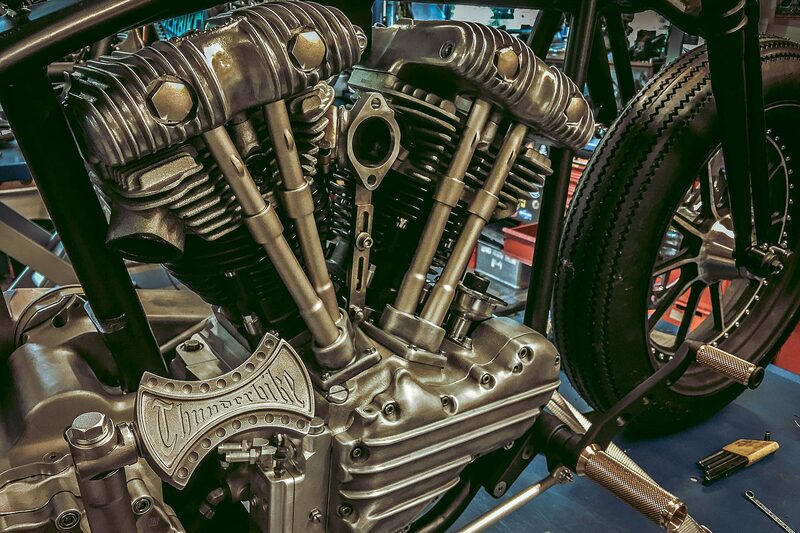 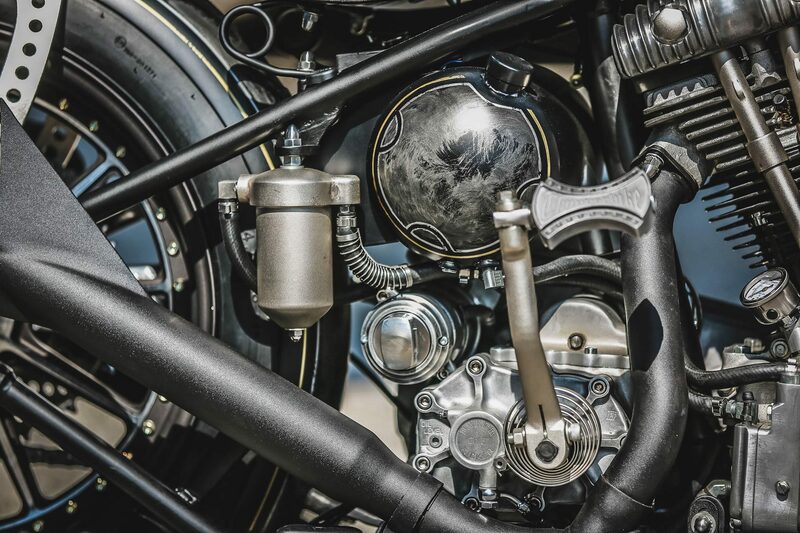 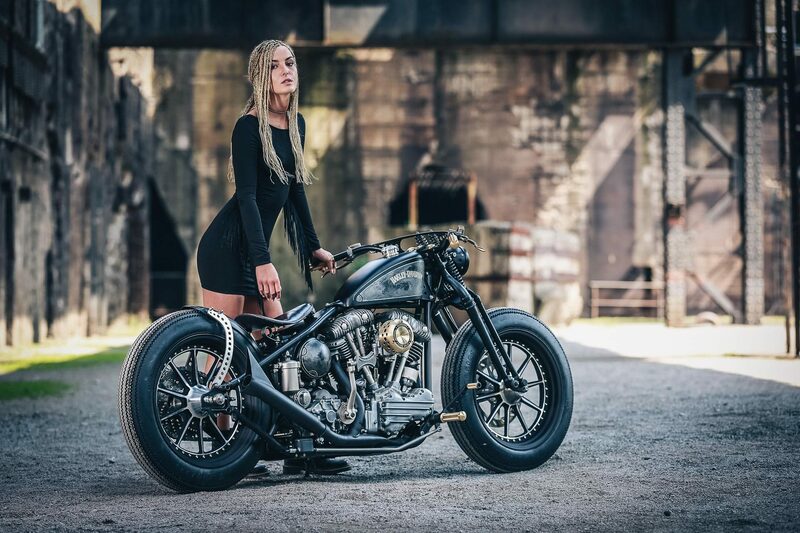 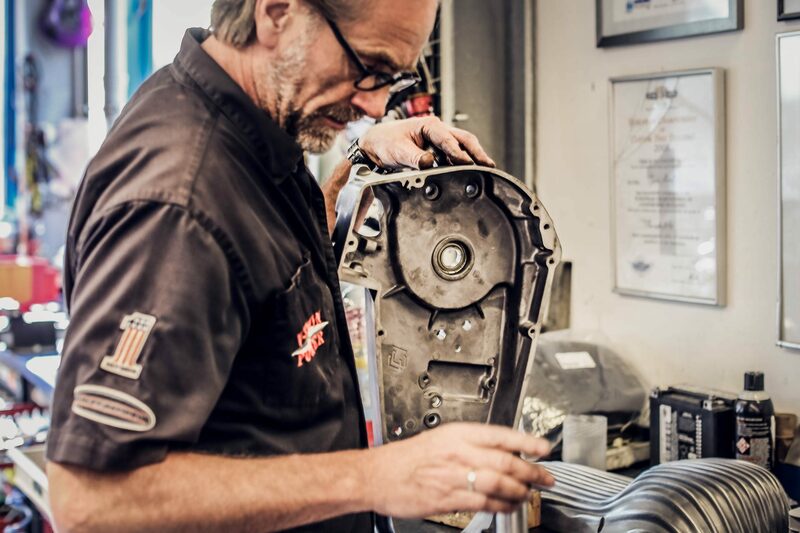 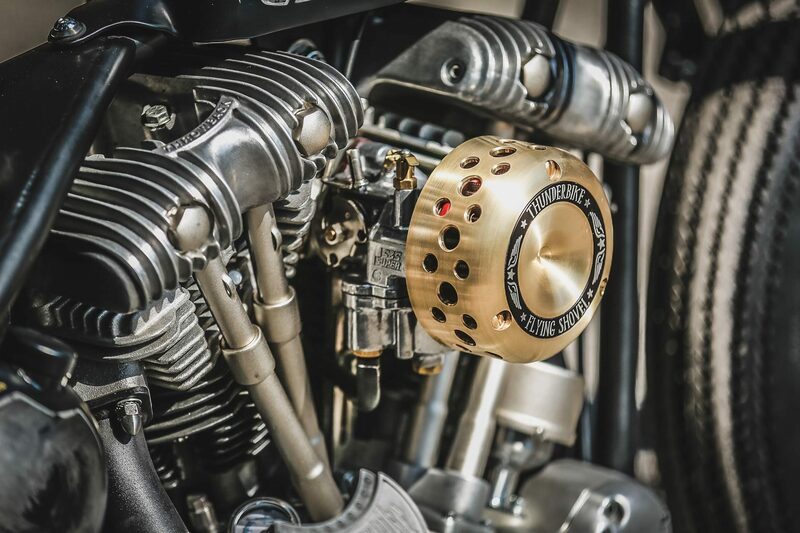 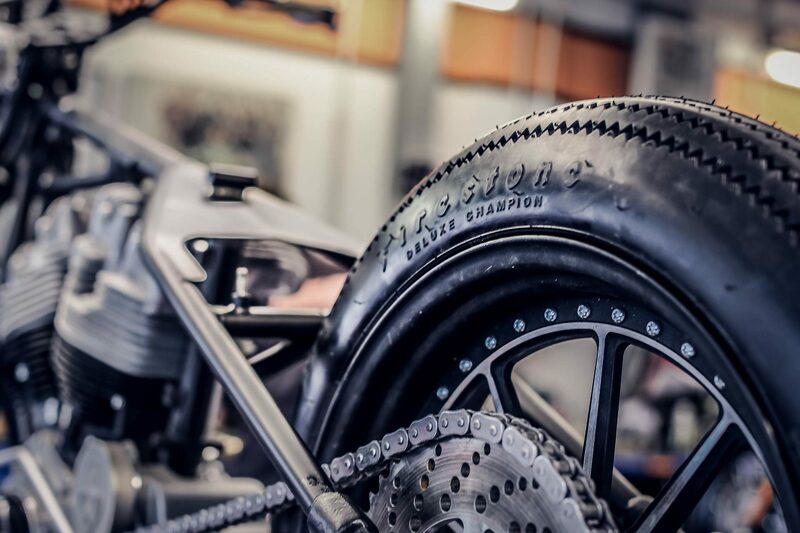 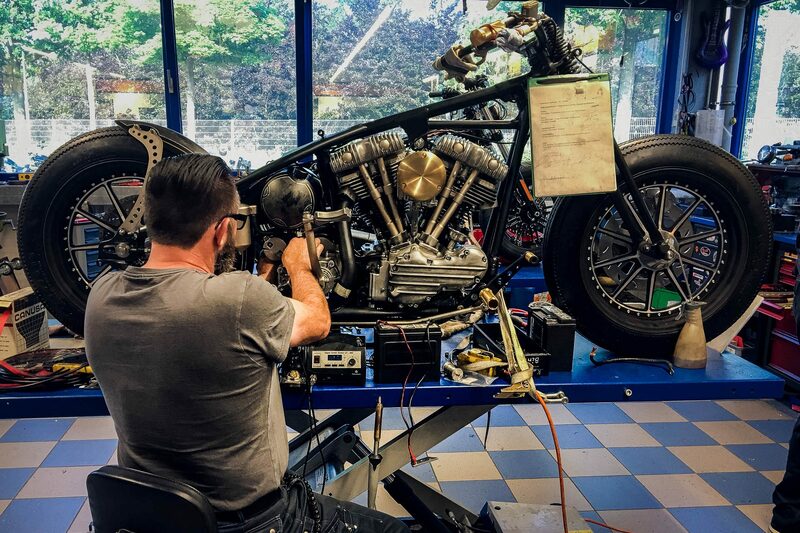 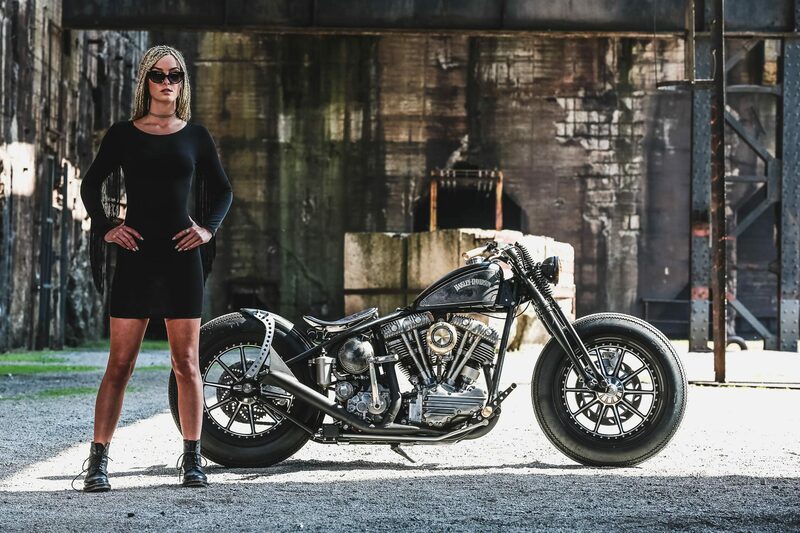 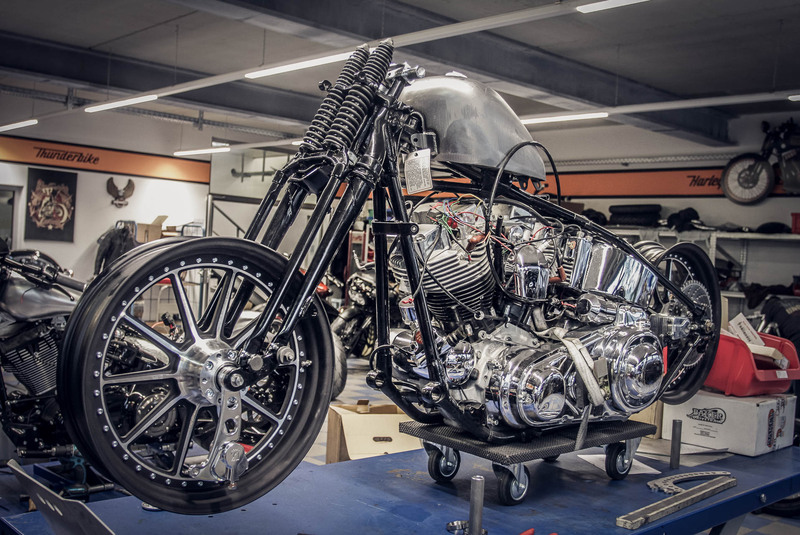 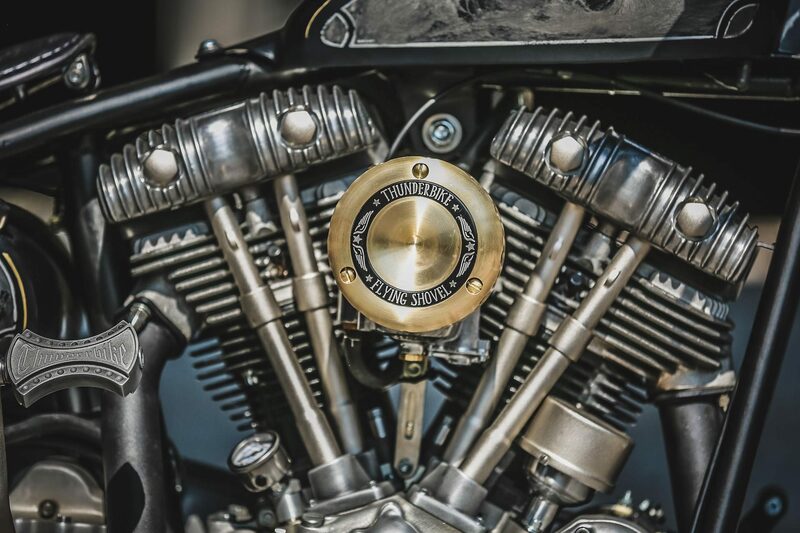 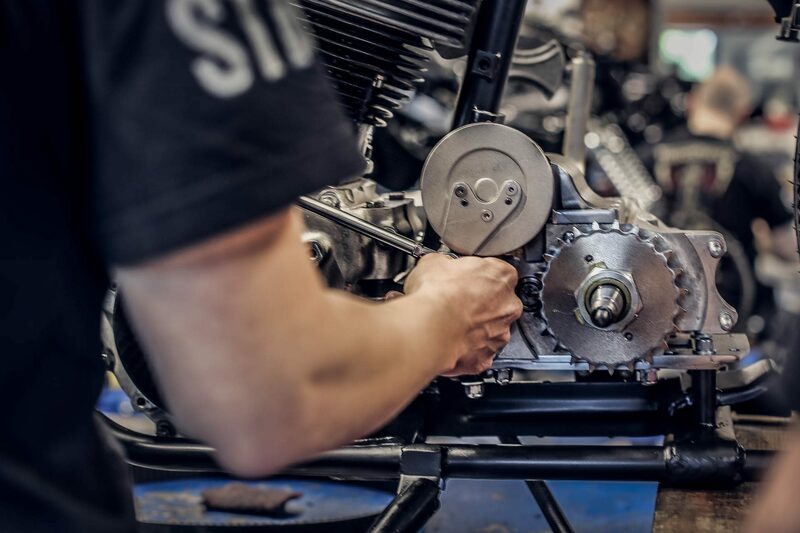 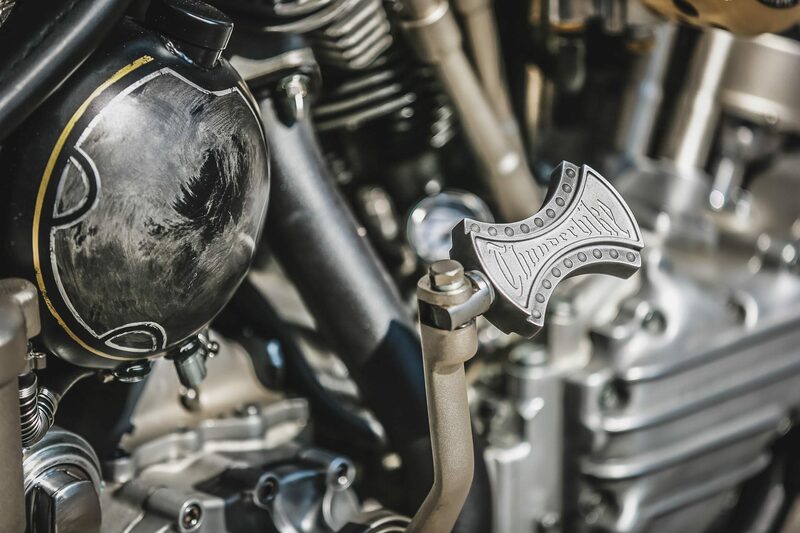 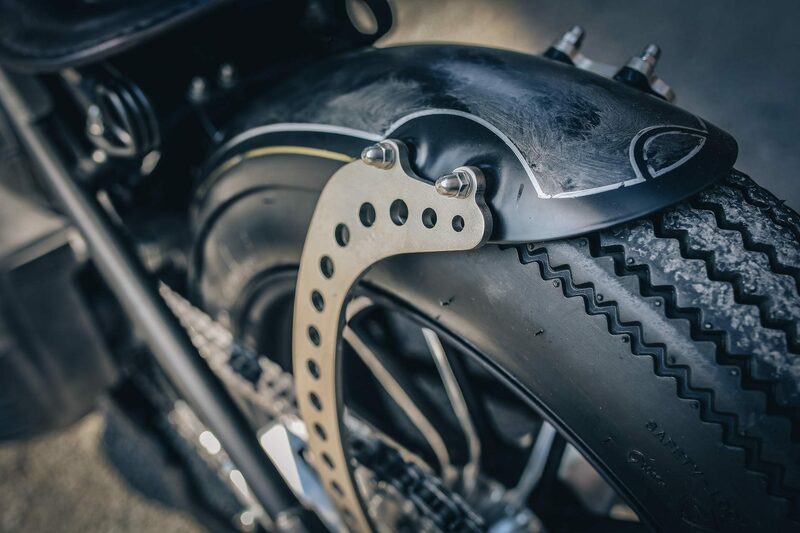 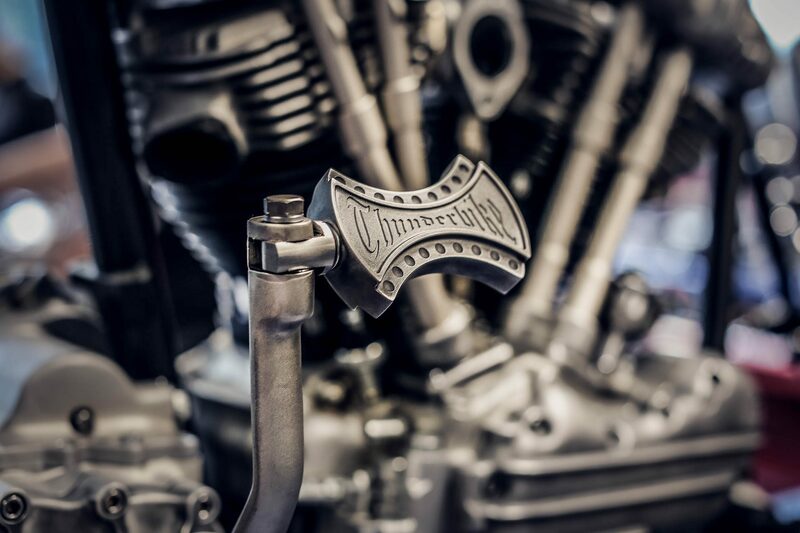 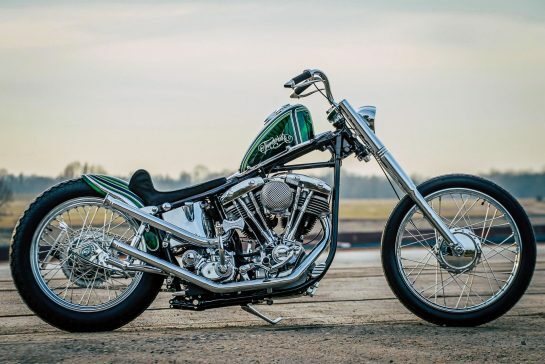 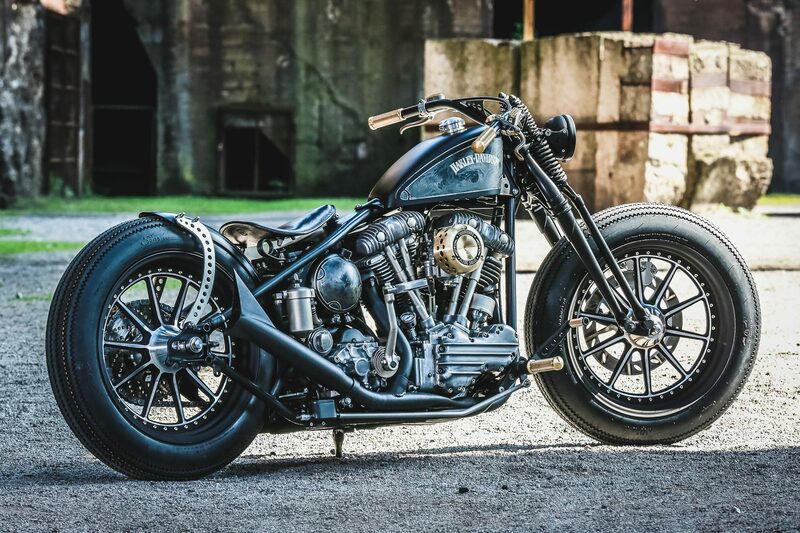 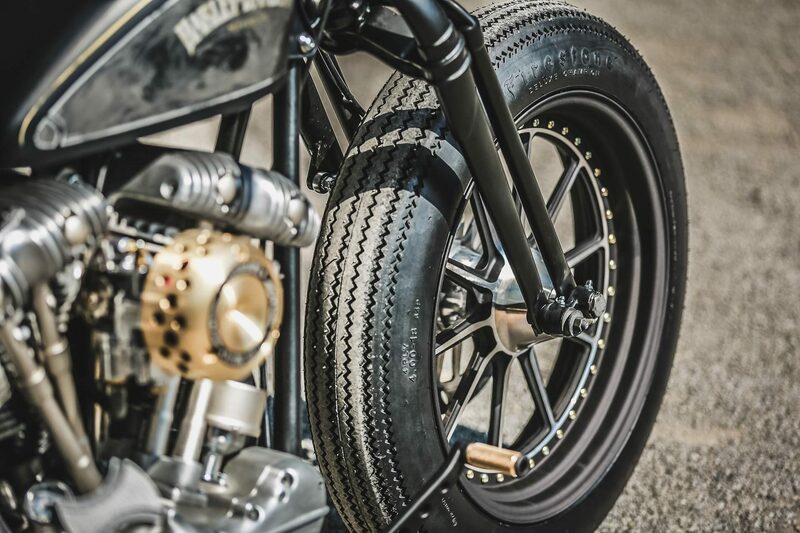 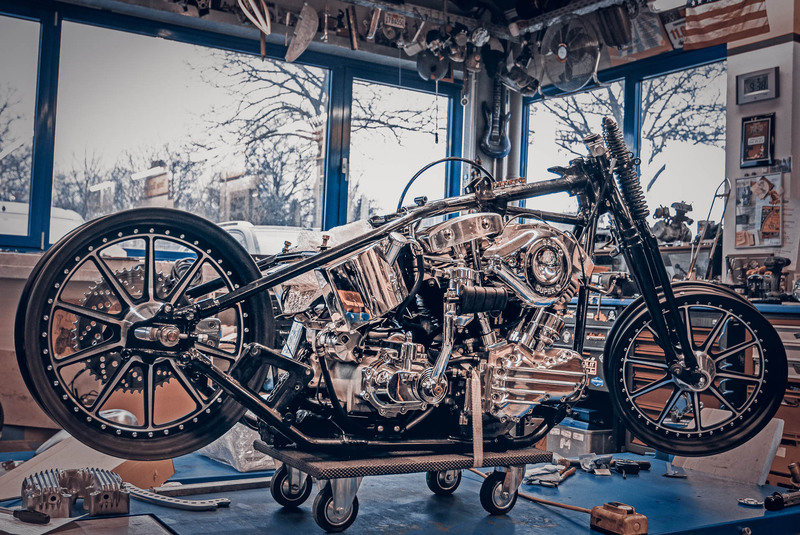 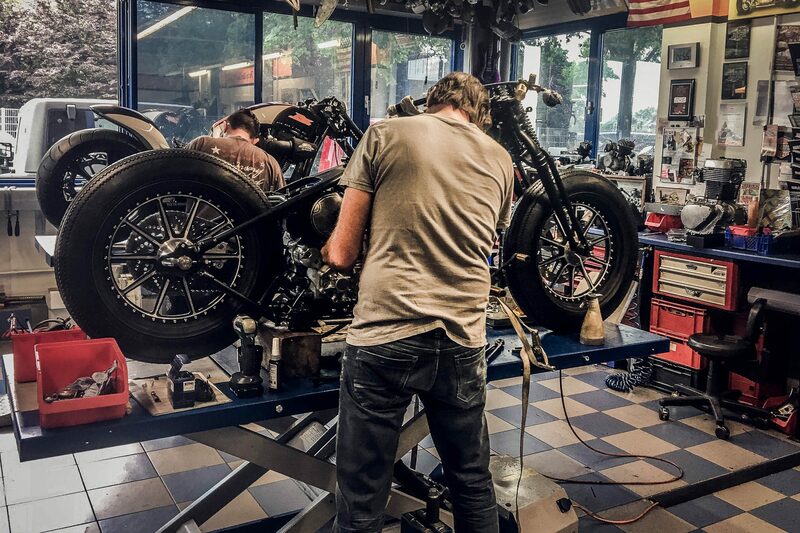 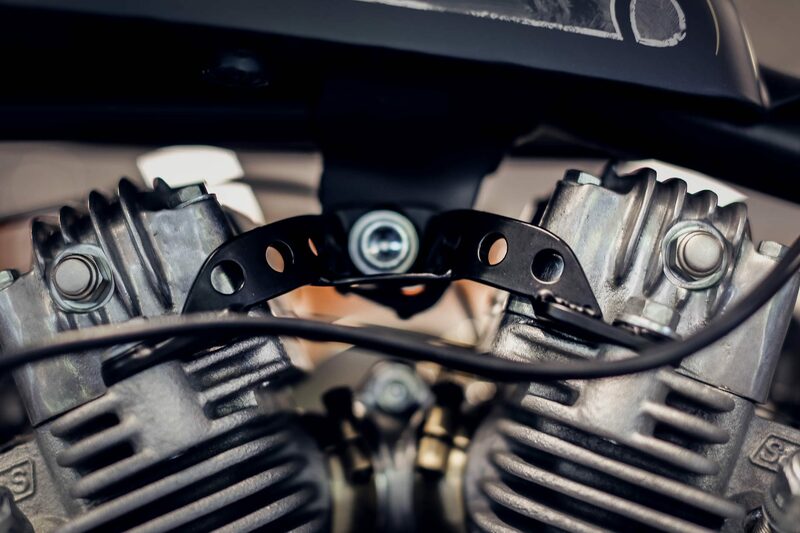 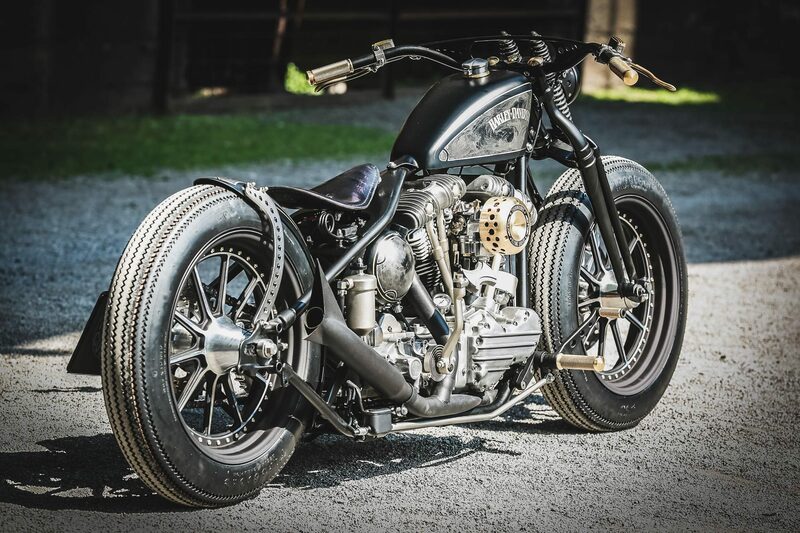 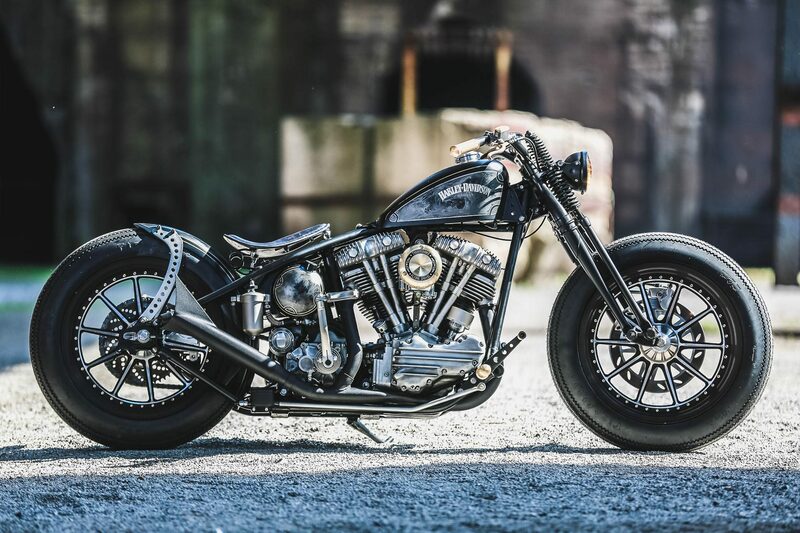 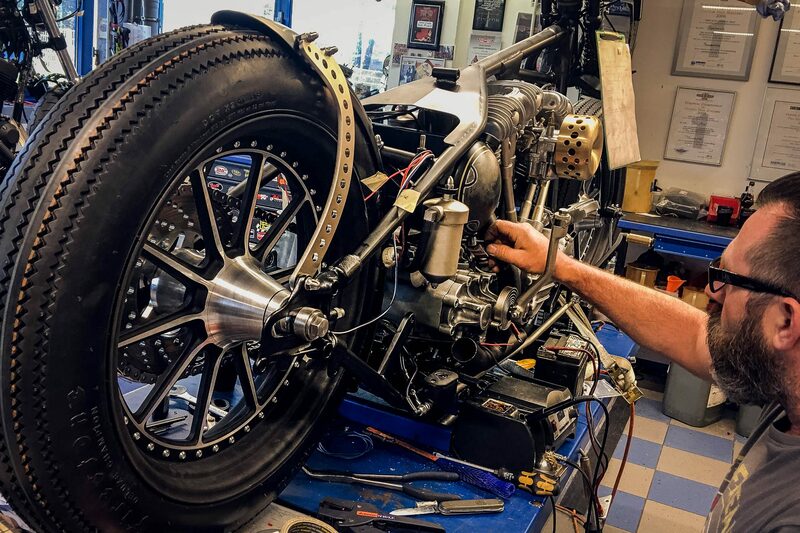 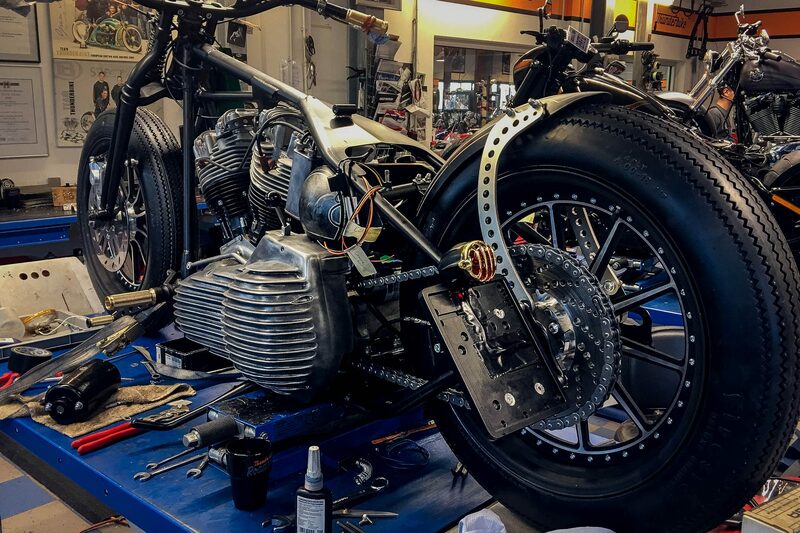 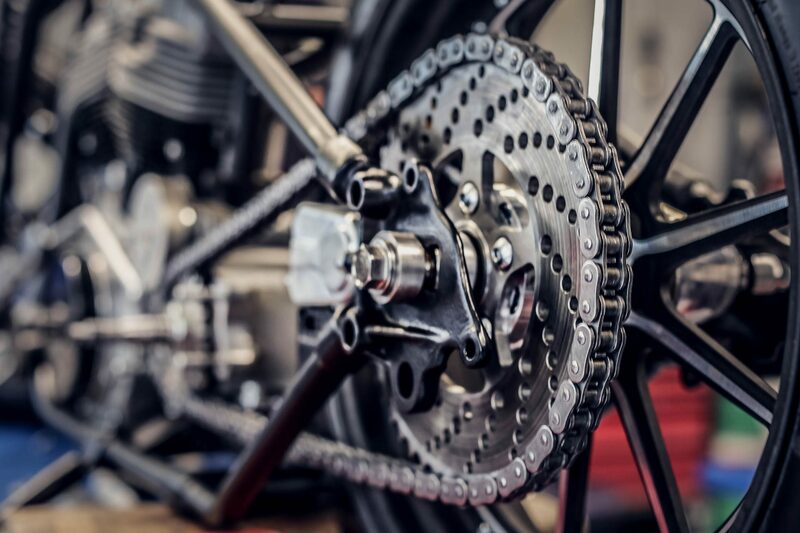 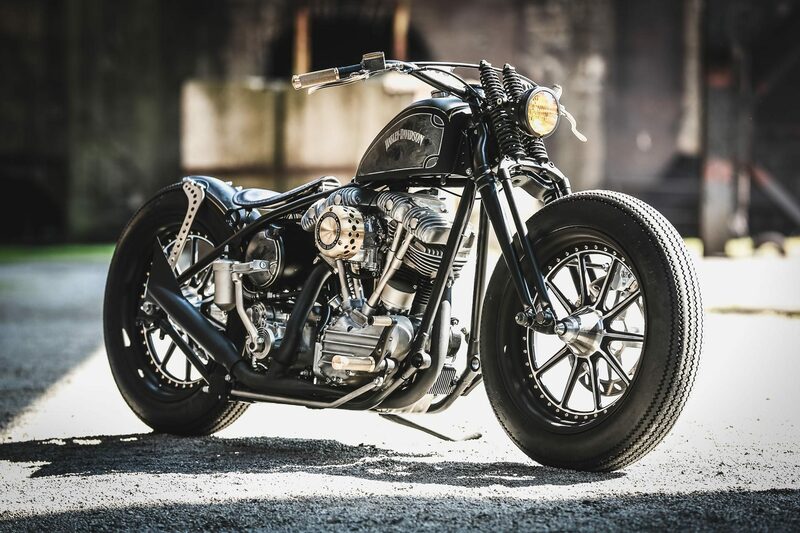 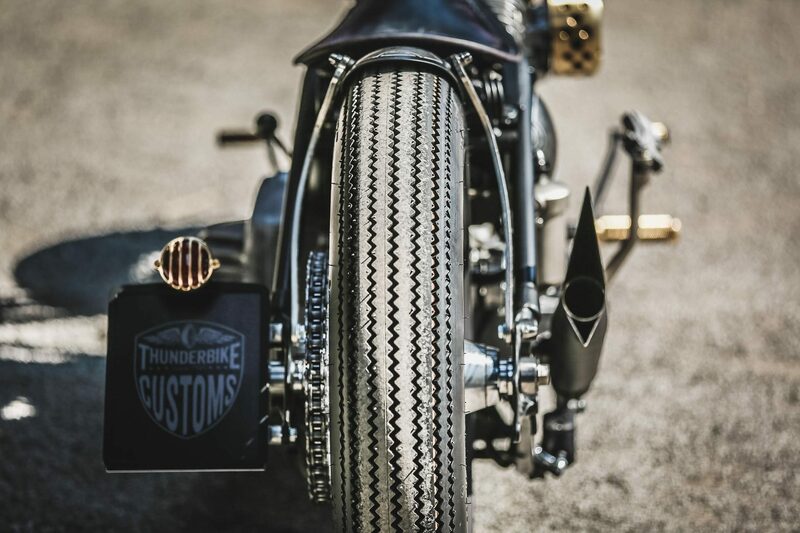 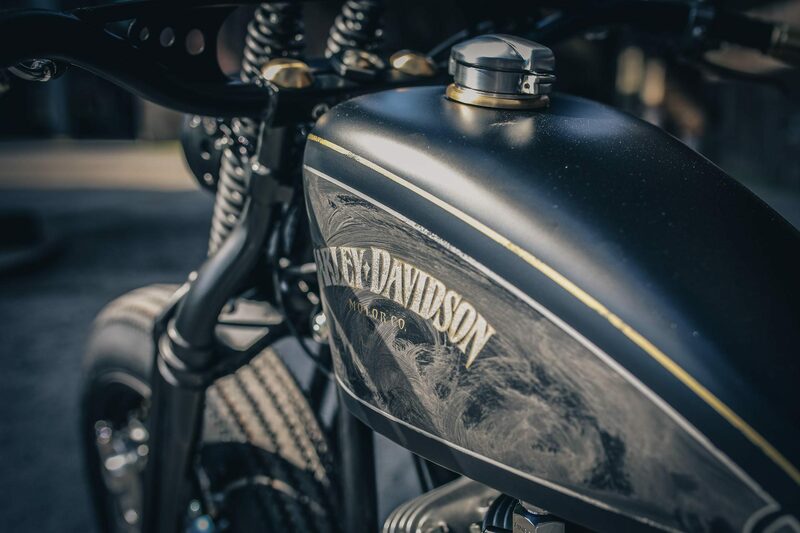 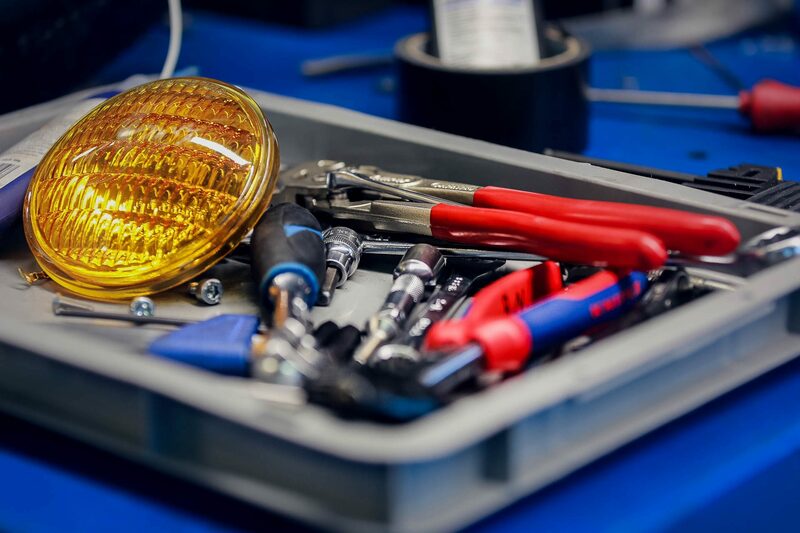 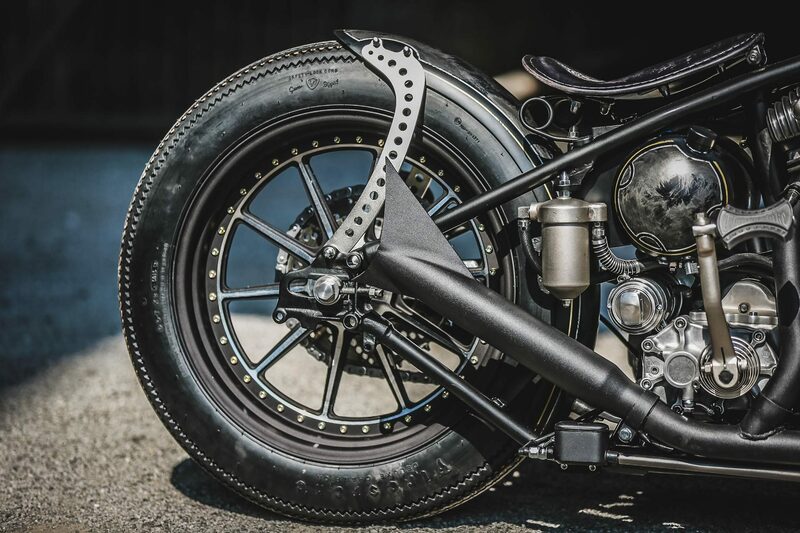 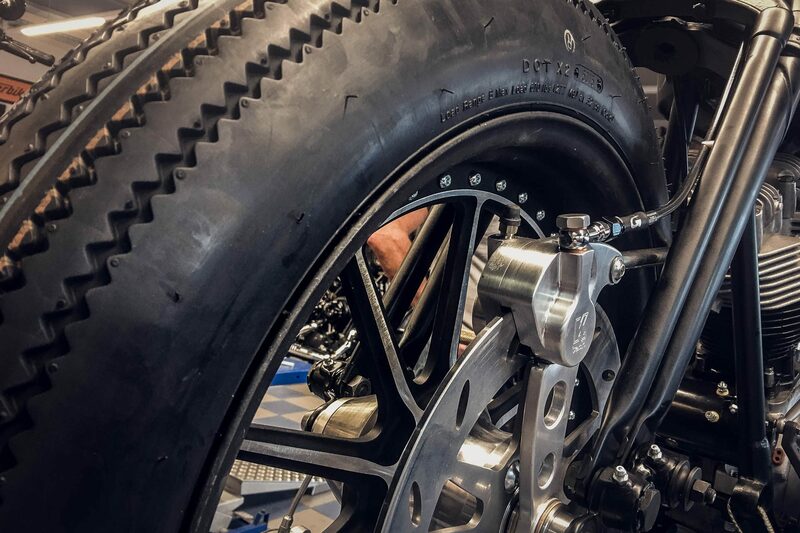 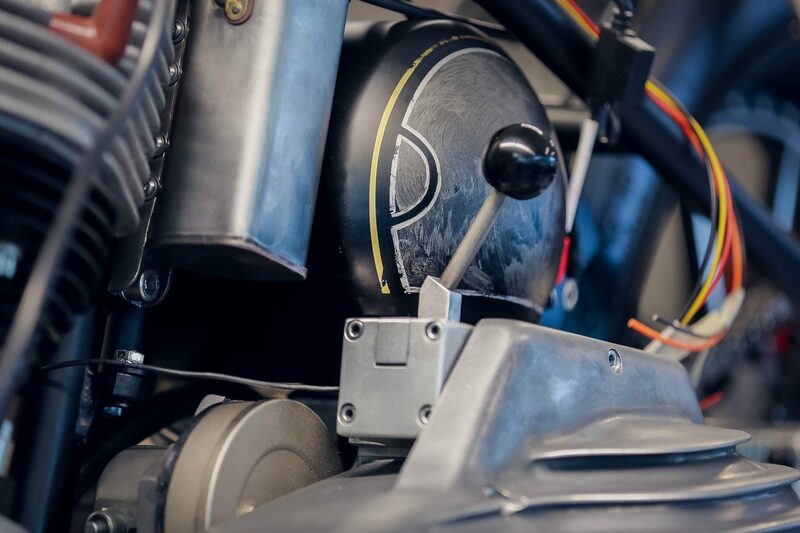 Exhaust, handlebars, grips, pegs, fuel tank, oil tank, rear fender and many other parts we have made completely and specifically for the Shovelhead in our workshop. 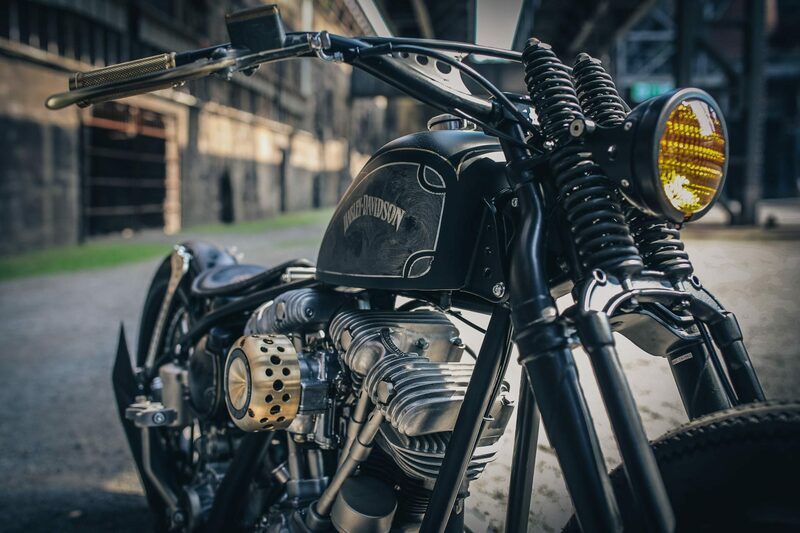 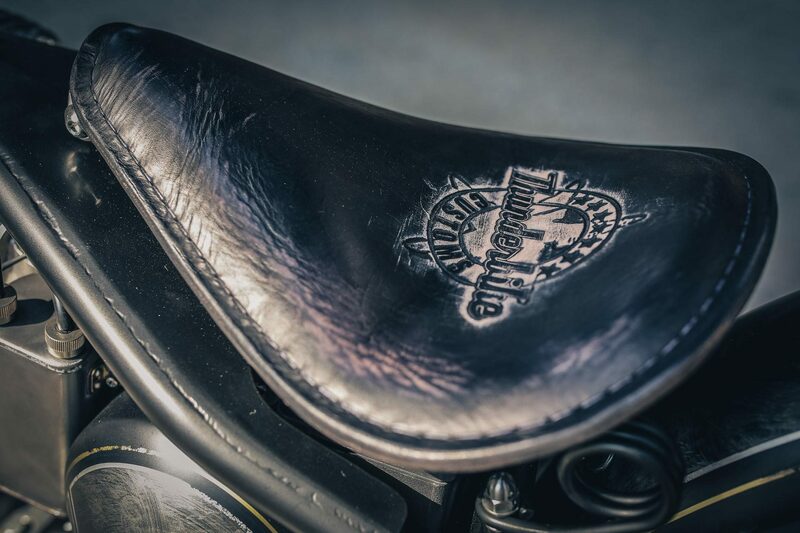 At the frame, we opted for a straight-leg ride, which was fitted as standard in the last Panheads. 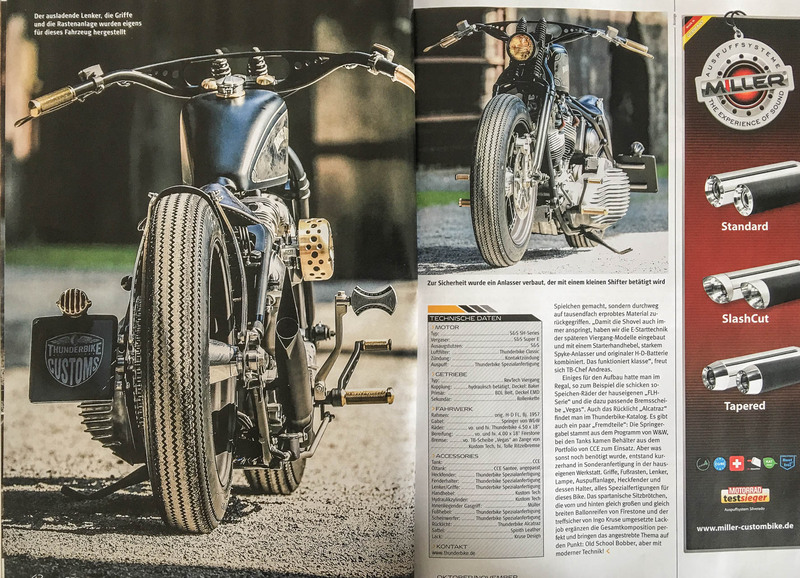 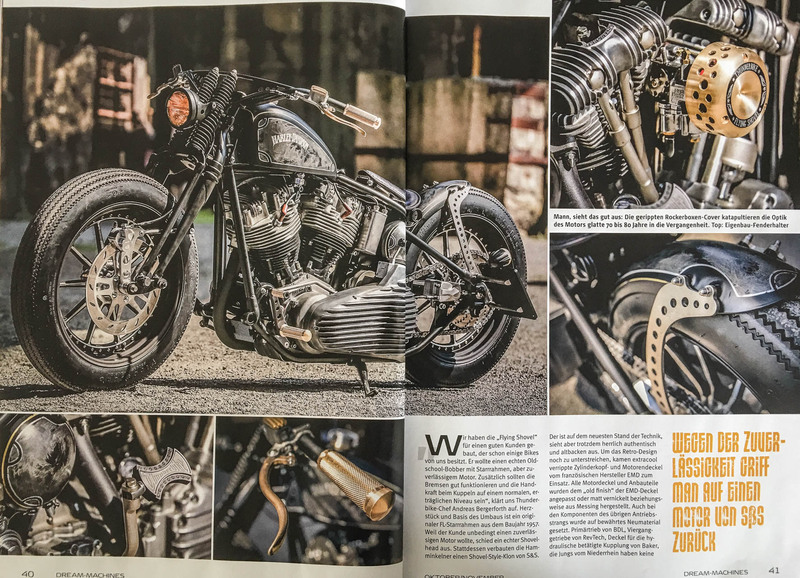 Reason enough for the scene magazine Dream Machines to scan a bike story. 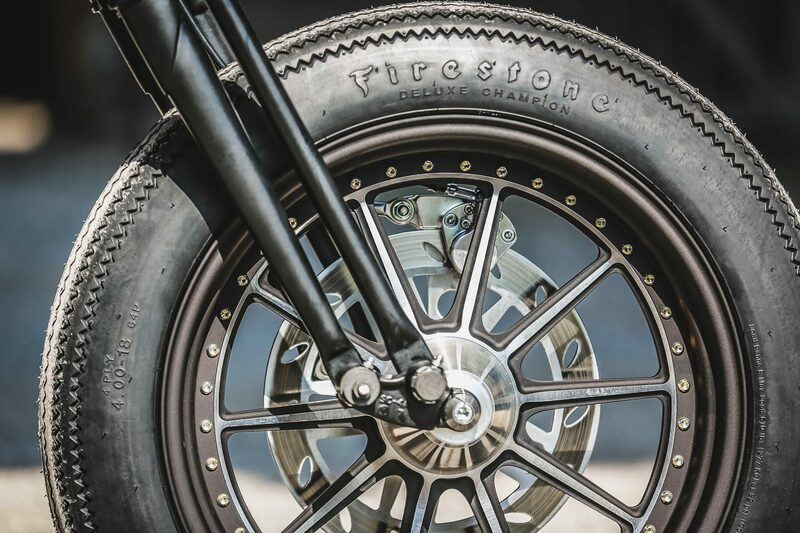 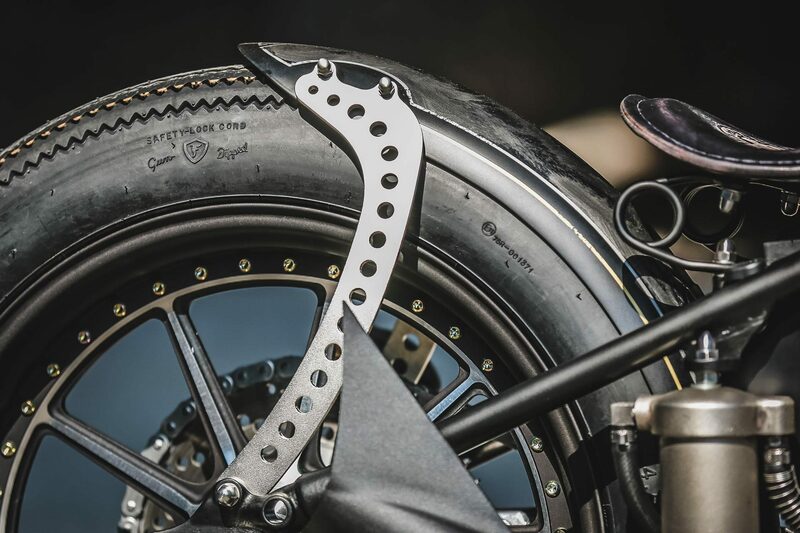 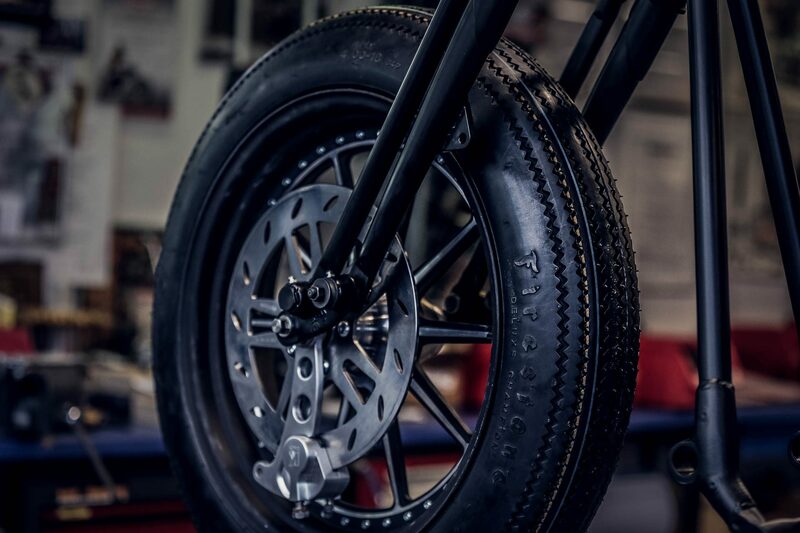 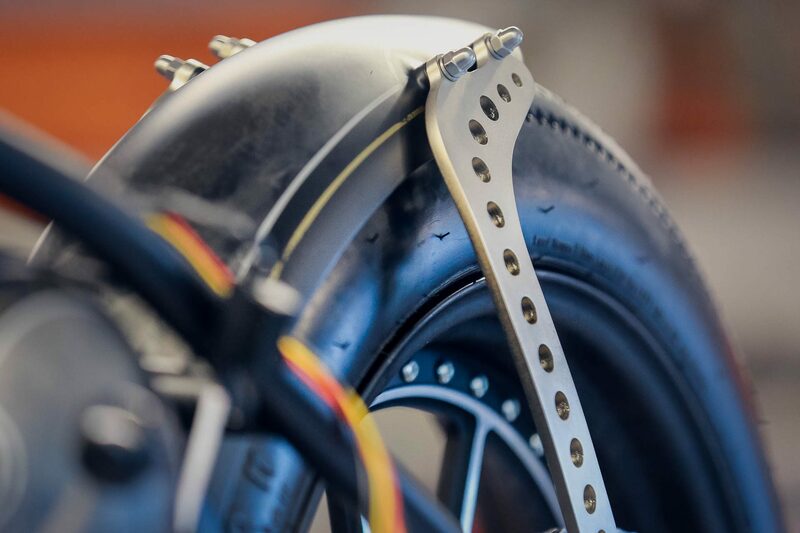 The chic 18 inch wheels, including matching brake discs, can be found in our catalog program under the name FLH again. 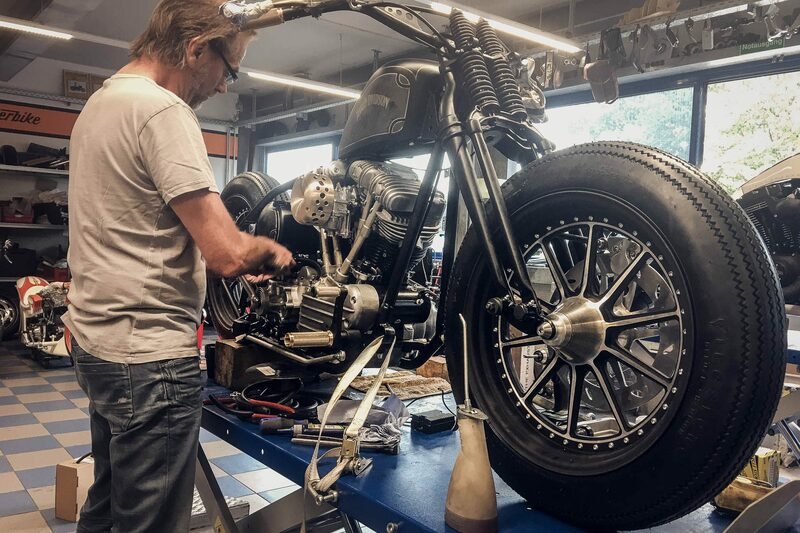 Once again we were able to win master painter Ingo Kruse, who has done a splendid job with matt paints.